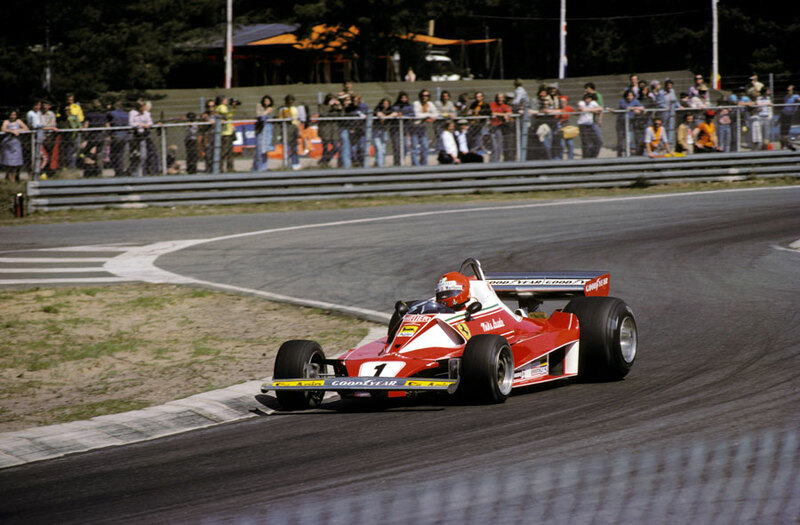 Niki Lauda's third win of the season at Zolder (at the time it was reported as his fourth as he had been awarded the Spanish Grand Prix following James Hunt's disqualification) gave him a commanding 27-point lead in the drivers' championship. Given the dominance of both Lauda and Ferrari - Clay Regazzoni finished a comfortable second - there were many pundits and fans who were already writing off the likelihood of anyone stopping them retaining the drivers' and constructors' titles. Lauda set a lap record in practice - he bettered it during the race - while Hunt had a spectacular crash, forcing him to revert to the reserve McLaren for the race. He had been complaining loudly about his car's handling since arriving, and Autosport noted he was "as jumpy as a stud horse with a bad tooth". The Ford Cosworth engines were no match for the Ferraris which were not put under any sustained pressure, although for a short time the Ligier of Jacques Laffite closed to within three seconds of Regazzoni before dropping back when he spun off. He still held on to finish third. Briefly, Hunt threatened to challenge the Ferraris, separating them on the opening lap, but he developed gearbox trouble and was back in fifth when he retired with smoke pouring from his McLaren at the halfway mark. His on-track conduct had left many rivals seething, and more than once he looked set to drive Scheckter off the track as he tried to pass. "He was driving very wild, holding everyone back," said Depailler, who had clashed with Hunt at Long Beach. "If he says all these things about crazy French drivers then he should not drive in the same way himself." Alan Jones secured his first championship points when he took fifth in the Durex-sponsored Surtees, while Jody Scheckter finished fourth in his first outing in the six-wheeled Tyrrell. "There's still a lot to do, but this has proved the concept works," Scheckter said. The other Tyrrell, driven by Patrick Depailler, was in fourth when he retired with engine trouble. Chris Amon, in a low-budget, unsponsored Ensign, used all his experience to drag the car into the top six before a mechanical failure caused him to crash. He clambered out of the wreckage unharmed.